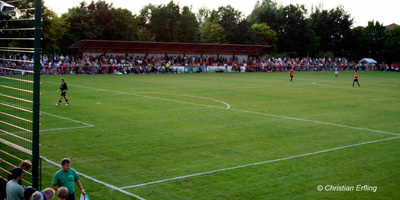 Situated in the district Ricklingen this stadium is run by the sports club SF Ricklingen. Around the stadium which offers seats for 2,500 spectators you find other sports facilities like tennis courts and rugby fields. 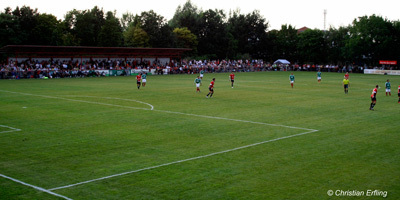 Since the beginning of the 5th League season in 2012/2013 the Beeke Stadium is the main match venue for the second men team of Hannover 96. 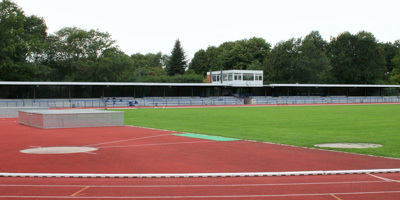 The Erika-Fisch-Stadium is the center piece of the sports park Hanover which comprises about 45 hectare with a swimming pool and an Olympic Training Centre. In these sport facilities German national as well as regional athletes are trained professionally. The opening ceremony of the EuroDeaf 2015 will take place in the stadium on 14.06.2015 at 13 hrs. 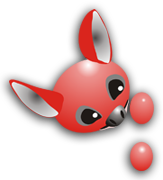 After that the opening match kick off of the men’s tournament Germany vs. Sweden will be at 16 hrs. During the EuroDeaf2015 the sports park and its surrounding area will be the strategic centre of the EuroDeaf 2015; the tournament office and the main facilities of the organization committee will be located in the neighboring academy of sports, the German teams will stay here, the social programme for guests and fans during the EC will be found in the direct proximity of the park. 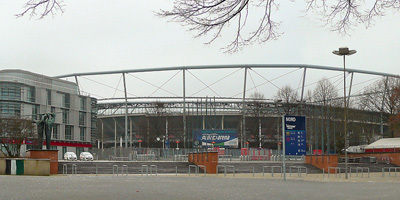 The Erika-Fisch-Stadium is the venue for group matches of group A. 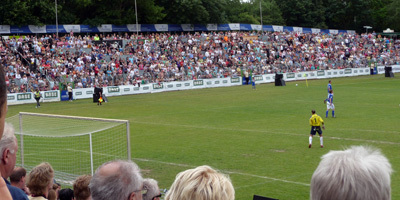 The sports club OSV Hannover runs the Oststadt stadium in Hanover’s district Bothfeld. It was built in 1972 and provides 6,000 spectator seats. The club itself was found in 1923 and due to its football division it became quite known. 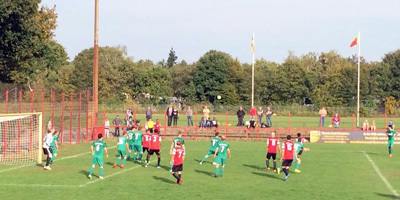 The first men team played in the 2nd National League and participated seven times in the DFB Cup. Today they play in the 4th National League. Exemplary is their work with young talents and the event policy of the club; besides interesting football events they also organize major supra-regional youth sports happenings. Numerous international events have taken place in this stadium; teams like Galatasaray from Turkey, Hungarians Champion FTC Budapest, the Tottenham Hotspurs or the national team from Cuba left their footprints on the green. When the former German national player Per Mertesacker calls for a charitiy match for his foundation the stands of the stadium are full to the last seat. 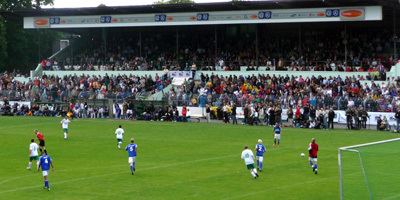 Besides football the American footballers carry out their home matches here, the German national Rugby team has its home at SV Arminia. 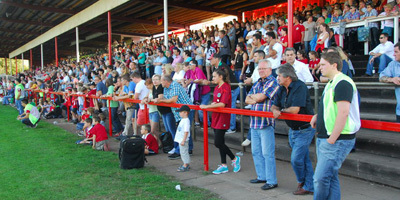 This Stadium is the venue for the sports club Von 1907 Linden, short SV 07 Linden. The club was found in 1907 as a football club and took up the sportive work with kids and youngsters from a migrant background. 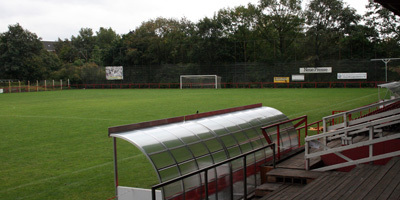 The Stadium, also called Lindener Stadium is a mere football stadium and the venue for all home matches of the club. 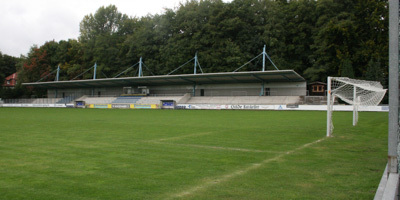 It offers 4,000 spectator seats on a heightened stand. In the direct neighborhood you find the tennis courts and sports halls of the IGS Linden. On Sunday the 21st June various placing matches are scheduled here. 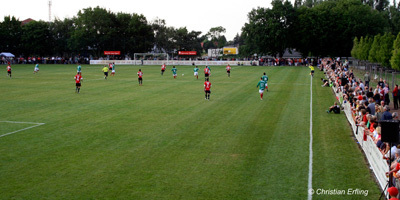 The HSC Hannover in the district List runs big sports facility with four football fields. The complex meets all requirements for the women’s tournament of the EuroDeaf2015. Here the opening ceremony for the women will take place on 18th June at 12:30 hrs. 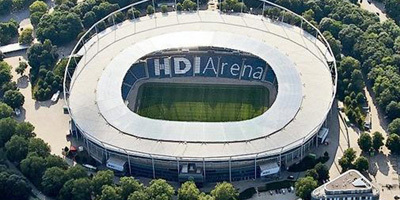 Kick off of the opening match Germany vs. Poland in this stadium will be at 14 hrs. But not only the facility but also the work of the club is an advantage for the guests because the club puts great emphasis on the development of women football. The first women team plays in the 5th League. 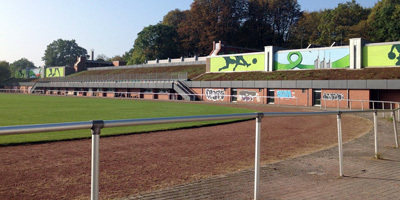 The former Lower Saxony Stadium in the sports park Hanover was built in 1954. 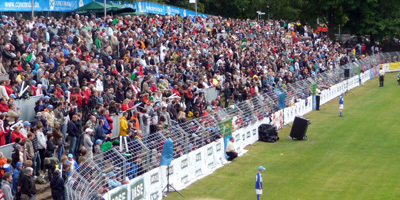 It is the venue for all home matches of the National League Club Hannover 96 and was the location for various international matches during the World Cup 1974 and European Cup 1988. In order to become one of the venues of the World Cup 2006 the stadium was rebuilt as a mere football stadium in 2003 and completely roofed over. 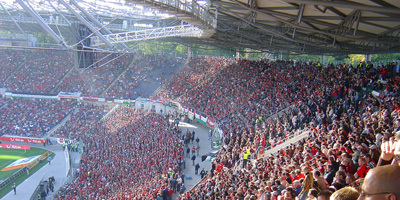 It has a capacity of 49,000 spectators and was reopened on the first day of the National League season 2003/2004. 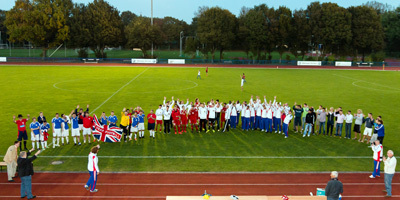 All visitors are invited to the HDI Arena to see the finals of the EuroDeaf2015 on 27th June 2014 as well as to the medal and closing ceremony.